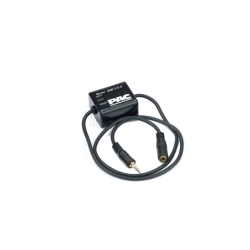 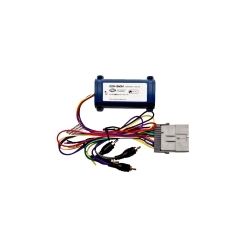 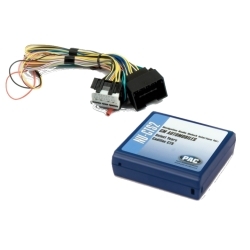 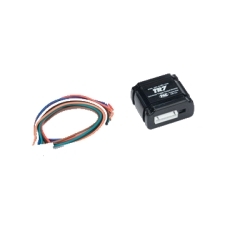 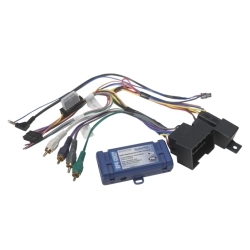 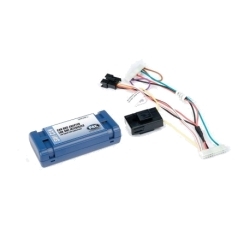 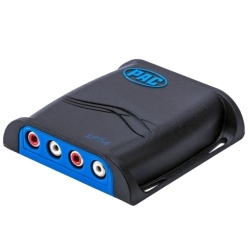 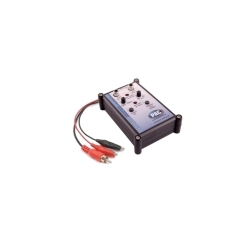 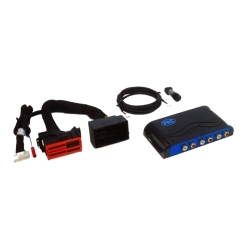 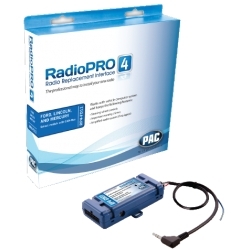 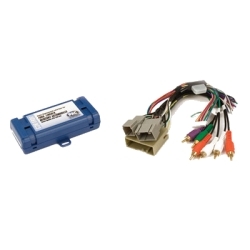 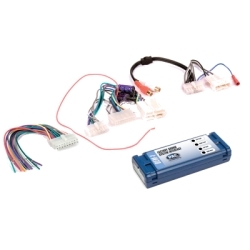 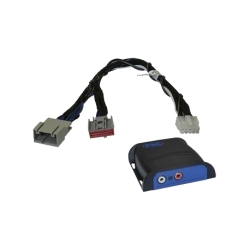 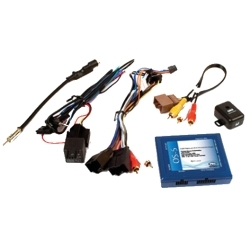 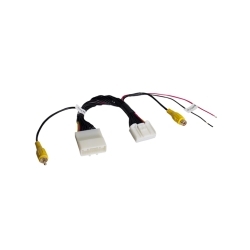 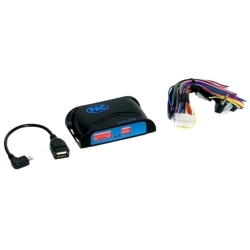 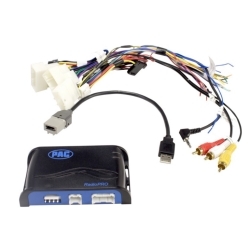 Provides an audio/video signal output from a factory radio to an aftermarket monitor. 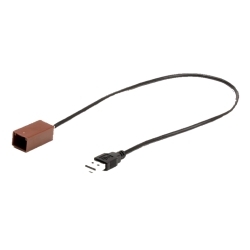 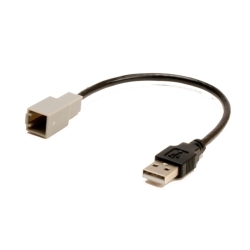 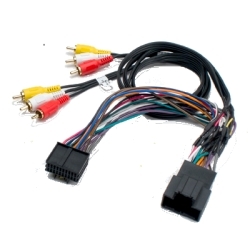 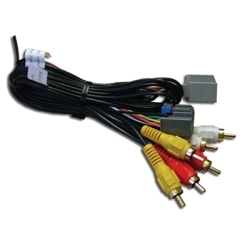 Also for use with a radio replacement interface to retain the overhead LCD monitor and IR system. 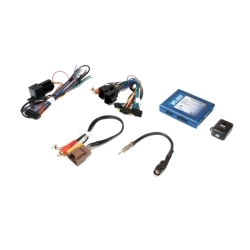 Select 2013 - 2017 Ford with 8.4” Radio and Sony System. 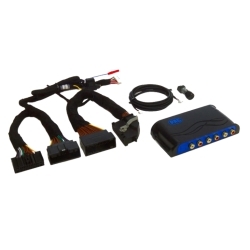 Select 2013 - 2017 Chrysler, Dodge, Jeep and RAM with amplified sound systems. 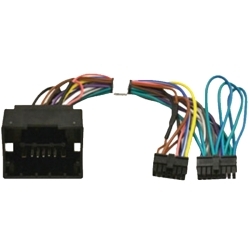 Multi-functional harness for Toyota vehicles.